HONOLULU — Hawaii State Federal Credit Union (Hawaii State FCU), Hawaii’s largest credit union lender with more than 106,000 members on Oahu and Maui, has announced assistance programs for federal government employees and non-federal government employees affected by the shutdown. – Emergency Personal Loans of up to $5,000 with no interest or payment required for the first three months of a 27-month term. 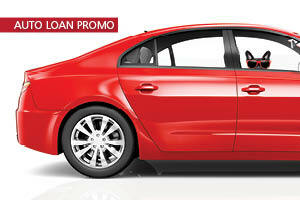 – Loan Payment Deferrals of up to three months on existing personal and auto loans. Late fees will be waived. – Term Share Early Withdrawals of share certificates. The minimum withdrawal is $500 and early closing fees will be waived. To qualify, individuals must have been a member of the Hawaii State FCU as of Dec. 22, 2018. Federal government employees most show proof of employment with paystubs dated Dec. 22, 2018, or later. Non-federal government employees must have a letter from their employer stating there’s a payroll reduction due to the federal government shutdown, sequential paystubs to evidence income before and after furlough, and a statement from the member stating that their income has been reduced due to the federal government shutdown. For more information on Hawaii State FCU’s Government Shutdown Assistance program, members can visit www.HawaiiStateFCU.com, visit a branch or call (808) 587-2700.